JOIN END OF HUNT'S CHAMPIONSHIP IEA TEAM! 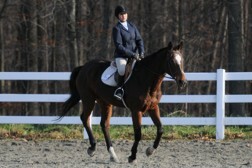 The Interscholastic Equestrian Association (IEA) was established in the spring of 2002. A non-profit organization, the IEA has grown both geometrically and geographically each year. Beginning with just 200 student-riders and 62 finalists participating in the first Nationals, the IEA now has over 5,000 student-riders on hundreds of teams across North America. Over 500 of the competitors qualified for the National Finals in 2011. The IEA has 12 zones across North America, Alaska and Hawaii. 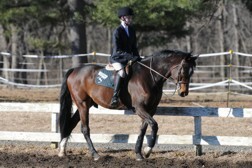 The purpose of IEA is to set minimum standards for competition, provide information concerning the creation and development of school associated equestrian sport programs, promote the common interests of safe riding instruction and competition and education on matters related to equestrian sport at the middle and secondary school levels (primarily ages 11 through 19). The unique aspect of these competitions, both at the local and national level, is that none of the riders will supply their own horses or tack. Instead, the horses, saddle and other tack are provided to the students at the show. The host team arranges for the horses and equipment. Some of the equipment may be borrowed from various training barns and facilities. Though the rider and horse have a short opportunity at orientation in the over fences classes, essentially, the horse is new to the rider, and the scores are based upon horsemanship and equitation, not the horse. The competitions involve six classes jumping over fences no greater than three feet and numerous flat equitation classes. Western riders show in horsemanship and reining, and saddle seat riders show in both rail and individual workout classes. All disciplines offer a variety of ability levels from beginner through advanced. The IEA is an affiliate of the National Reining Horse Association (NRHA), United States Equestrian Federation (USEF), the United States Hunter Jumper Association (USHJA) and the Intercollegiate Horse Show Association (IHSA). • To generally promote the common interests of safe riding instruction and competition and education on matters related to the horse industry and all segments thereof. 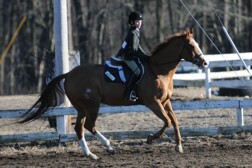 For additional information, visit the IEA website at www.rideiea.org. "For horses can educate through first hand, subjective, personal experiences, unlike human tutors, teachers, and professors can ever do. Horses can build character, not merely urge one to improve on it. Horses forge the mind, the character, the emotions and inner lives of humans. People can talk to one another about all these things and remain distanced and lonesome. In partnership with a horse, one is seldom lacking for thought, emotion and inspiration. One is always attended by a great companion."